Sorry this is so late, folks. Friday and Saturday night, I was just exhausted. And Saturday night, once I got “home”, it was much later than usual, and I still had to pack, which was an act of Congress ratified by God. And on Sunday, once I got home to Sherman at 2:00pm, I went to bed and slept 17 hours straight. Only 1 ½ hour of sleep the night before. So here it is, Tuesday evening, and you probably won’t see this until Wednesday evening. Friday, the 4th, David and I, and Luke, resumed the exploration of EPCOT, but not before a drive through tour of Celebration. Celebration is a self contained community owned by Disney. 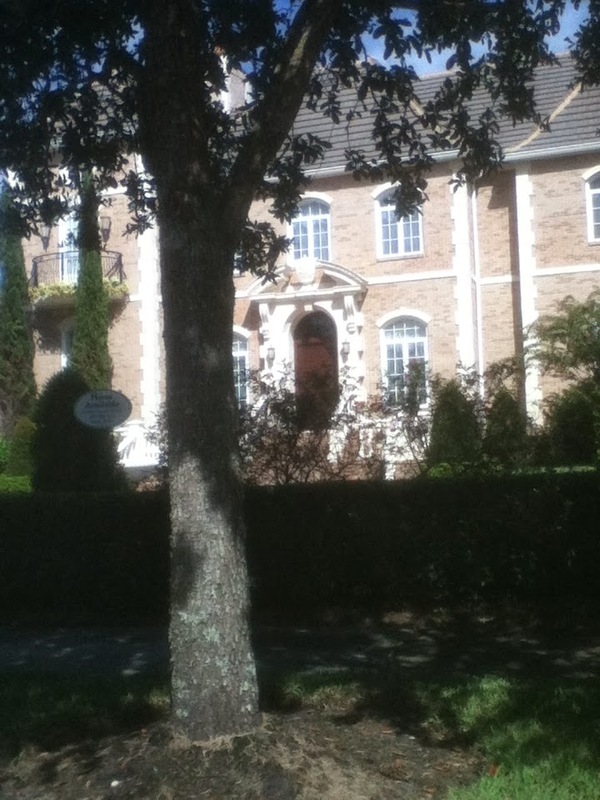 It has its own school system, hospital, theater, churches, and town hall. 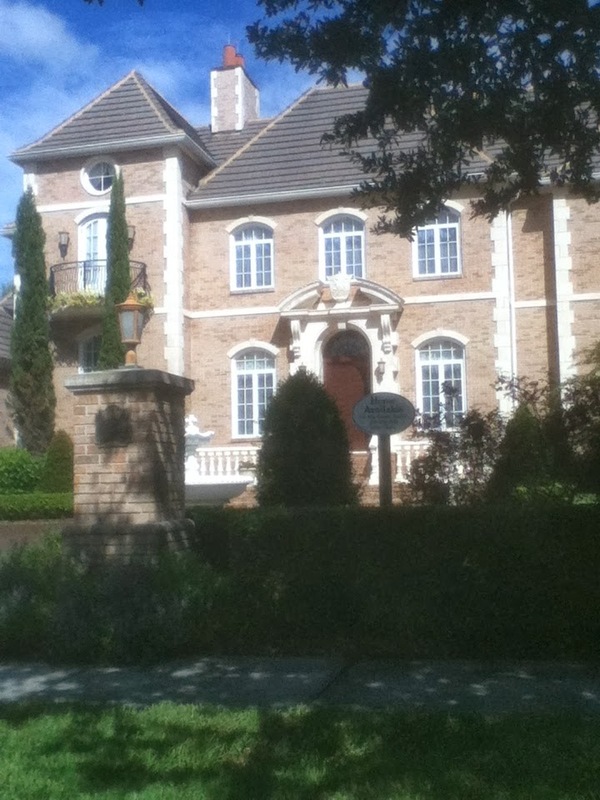 And some of the most beautiful homes and estates you have laid your eyes on. Keep in mind the community aspect, I’ll mention it again in a moment. EPCOT has gone through many changes over the many years since my last visit, primarily Future World. Some good…some not so good. For those not in the know of what EPCOT is, let me give you some history. It was conceived in Walt Disney’s mind about the same time he created his vision for Walt Disney World in Florida. Originally, what is now called the Magic Kingdom was Disney World…that’s all that existed, in addition to a few hotels, (Contemporary, Polynesian, The Disney Inn), Fort Wilderness Campgrounds, and a Golf Course. Walt died in 1966 before ground breaking of Disney World began. His legacy did not die, for his brother, Roy Disney, and a team of Imagineers, continued the work. EPCOT is an acronym for Experimental Prototype Community of Tomorrow. It opened in 1982. It was conceived by Walt Disney to “take its cue from the new ideas and new technologies that are now emerging from the creative centers of American industry.” I believe Walt Disney envisioned a community that would work together to create technologies and usher in a “future world”, one that existed only in our imaginations. It was practical and pragmatic. As it became a reality, EPCOT manifested as an actual theme park, the one we know today. I don’t think what came to be was exactly what Walt had in mind. I could be wrong. And it’s not that I don’t enjoy the park. I just think Disney post Walt mortem kind of missed the mark here. Only a few aspects of the park are “experimental”. The greenhouse nurseries at the Land Pavilion somewhat use cutting edge technology to bring about new breakthroughs in agriculture. The aquarium section of The Seas also fit’s the experimental bill. Innoventions have interactive displays that are educational. 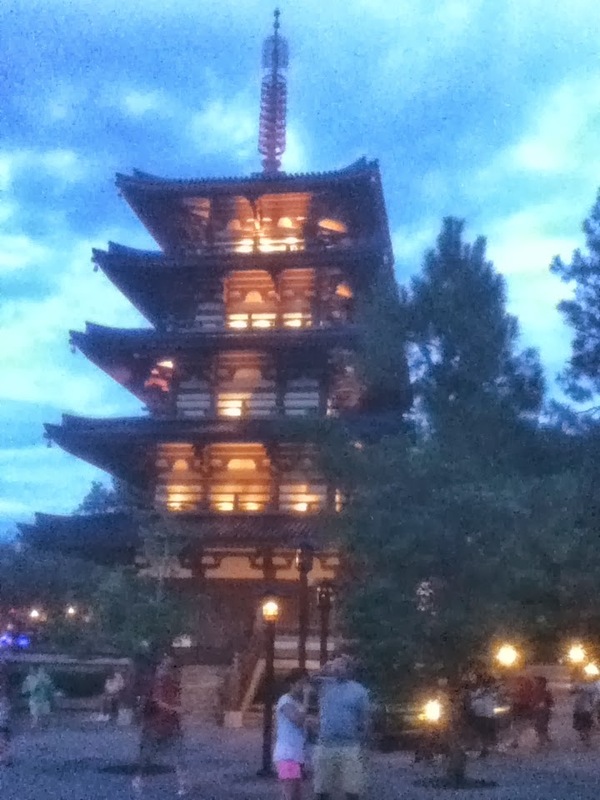 But all in all, EPCOT is a theme park that provides edutainment and inspiration, (and a few thrills). Which is not a bad thing. In fact it’s a good thing, and I appreciate it and enjoy that aspect very much. It’s just different from the original vision. The community aspect is manifested in the World Showcase section, where all the countries come together to show their cultures. I actually like World Showcase a bit more than Future World. 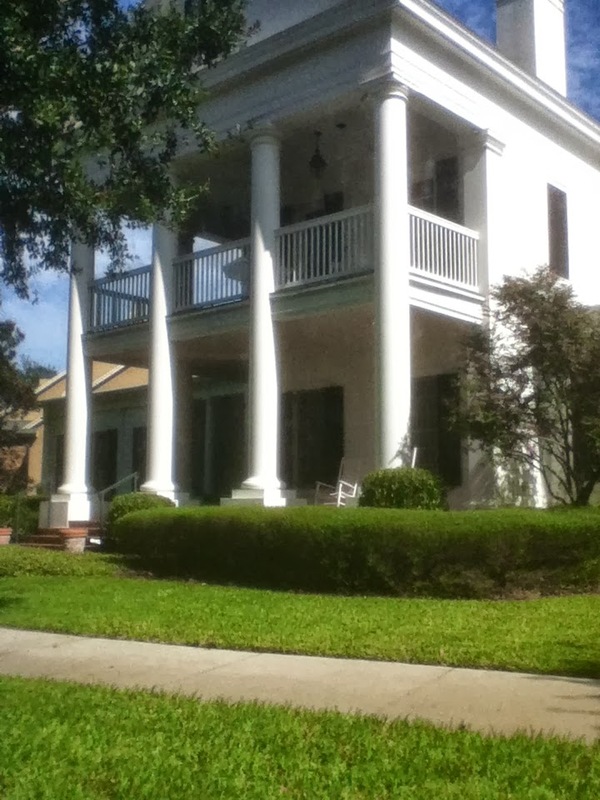 But the community aspect again is different than what I believe Walt had in mind. I mentioned visiting Celebration earlier. I believe that is a better example of what the community aspect of EPCOT is supposed to be about. 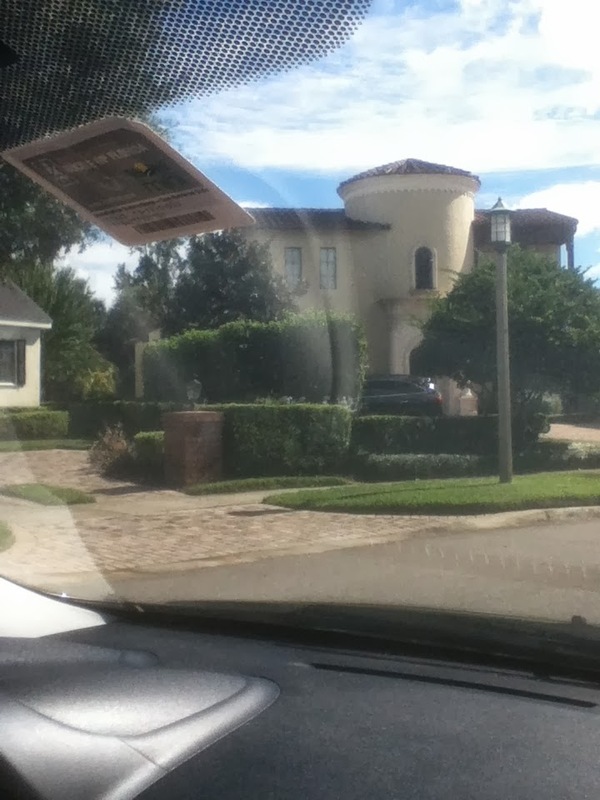 From what I understand, a lot of Disney cast members/staff live there. The idea that you work so close to where you work and co-operate in a community and work environment. I believe that was what Walt had more in mind. Now, I want to say that I enjoyed the park thoroughly. This is not meant to be a slam at all. EPCOT is fun, and I’ve always enjoyed it. I just think they need to create an EPCOT Beta, or 2.0, that more identifies itself with Walt’s original vision. I finished all the pavilions in Future World, riding for the first time Test Track, Soarin’, and Mission Space. Test Track was a bit lame. Think cars that are being tested out on crash test courses and for performance and safety tests. The only really thrilling part was when you exit to the outside to travel at higher speeds, but the real thrill were the banked curves. The speeds and brake/skid tests were not all that different from my everyday driving! But overall, it was probably an improvement over the World of Motion, which it replaced in the late 90’s. Also saw Captain E/O, starring Michael Jackson, directed by Francis Ford Copolla, and produced by George Lucas. This 3D show and musical was revived after the death of Michael Jackson. Say what you will about the King of Pop and his controversies of the 90’s, he was an entertainer extraordinaire. I thoroughly enjoyed seeing this again. Mid afternoon David had to leave for business, so I got to explore World Showcase by myself. First stop – lunch at the Mexico pavilion. The central feature of Mexico is an ancient Mayan style pyramid. 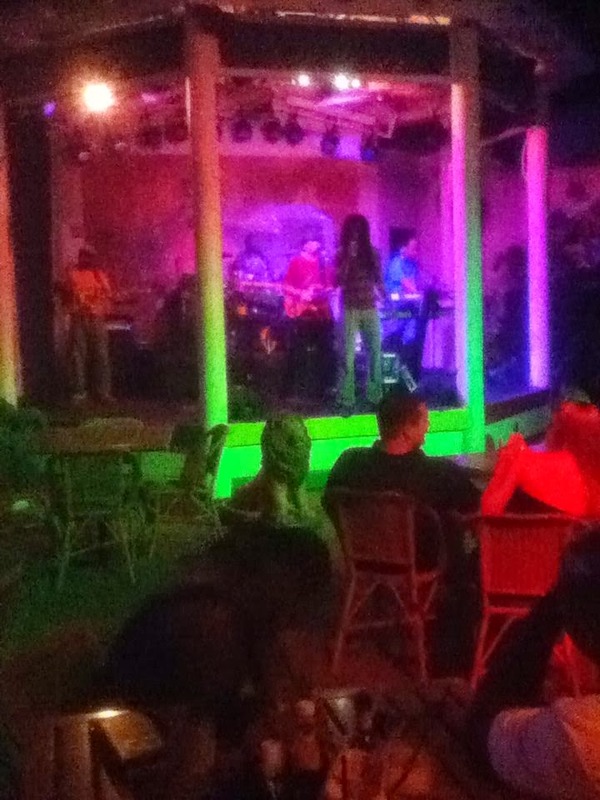 Go inside, and there is a faux outdoor setting, of a village courtyard overlooking a riverfront, with another pyramid and active volcano in the background. The restaurant seating overlooks this innovative background. Quite the ambience. 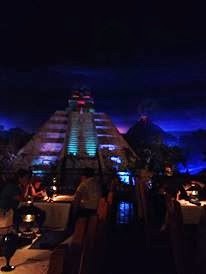 There is an attraction ride that is in the pyramid as well. A boat ride called Gran Fiesta Tour, starring The Three Caballeros. 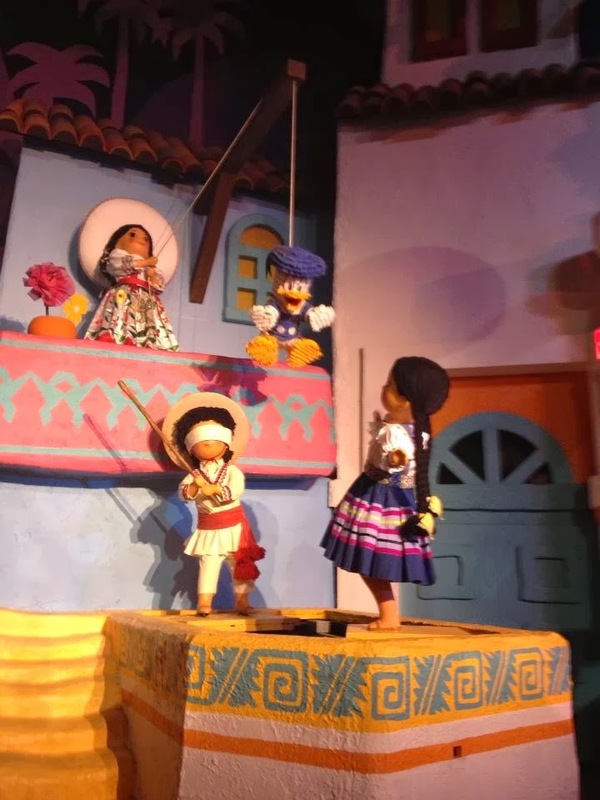 (Donald Duck, Jose, and Panchito) Short and fun, it’s an all Latin version of It’s a Small World. After lunch, I began visiting some of the Food and Wine Festival Booths. First stop – Morocco. Had a Kefta pocket, (ground seasoned beef in a pita pocket), baklava, and a Casa Beer. From there, on to Japan. Had a spicy hand roll, (sushi), and a Sake. Not a big fan off the Sake. Next, Germany. The line to their booth was about 30 minutes long. So I went to their snack counter service restaurant instead. Had a bratwurst with sauerkraut, potato salad, and a grapefruit beer. Very tasty. After all of this, I was stuffed. The most I have eaten in a prolonged one hour sitting in over 3 months. At around 9:30, David rejoined me, and we settled in to watch IllumiNations: Reflections of Earth, EPCOT’s nightly fireworks and light show. This is a not to miss spectacle. 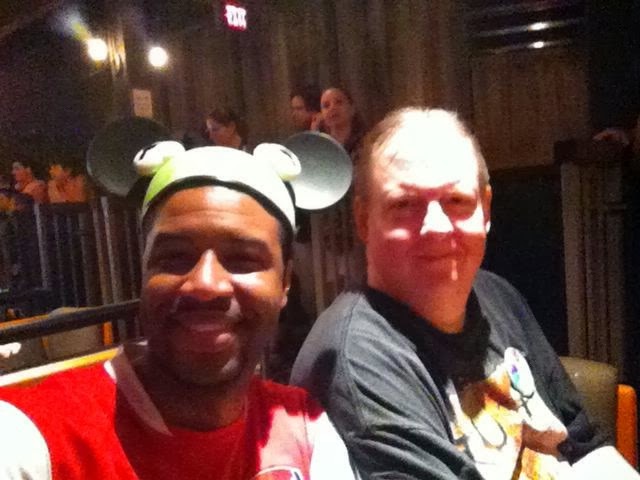 The next day, my final day in the parks, David and I go to the Magic Kingdom. 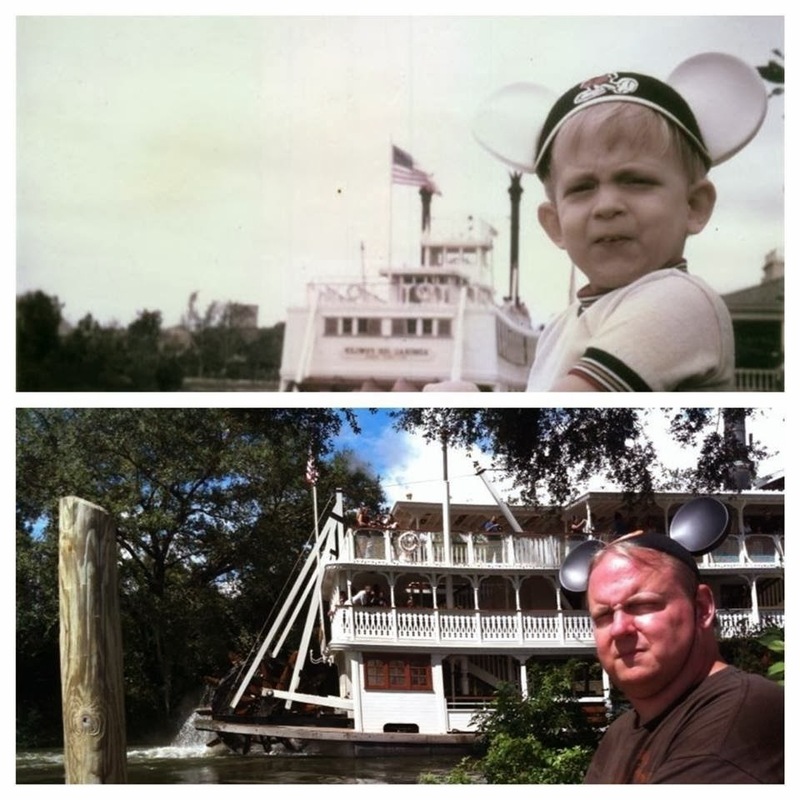 As a kid, we always began and finished with the Magic Kingdom. Started off with the Adventureland Jungle Cruise. This was closed for refurbishing earlier in the week, and luckily, reopened on this day. A fresh coat of paint everywhere. You ride this ride primarily for the antics of the tour guide/boat captain, not the ride itself. Still a fun ride. Basically a day for re-rides, and to fulfill some requirements given to me by Tinkerbell, who gave me a handful of Pixie Dust before I left on my trip. 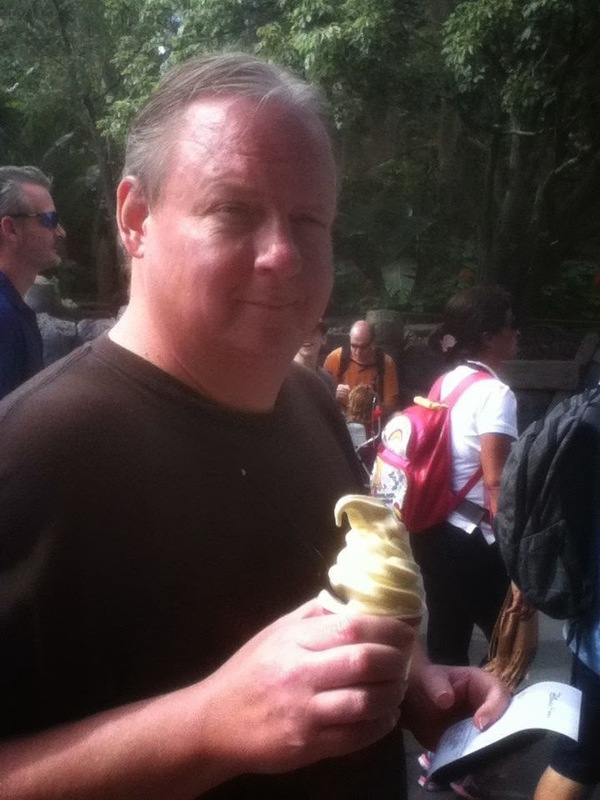 I had to get a Dole-Whip, essentially pineapple flavored soft serve. Delish! And I had to stop by the Confectionary, to indulge a sweet tooth. 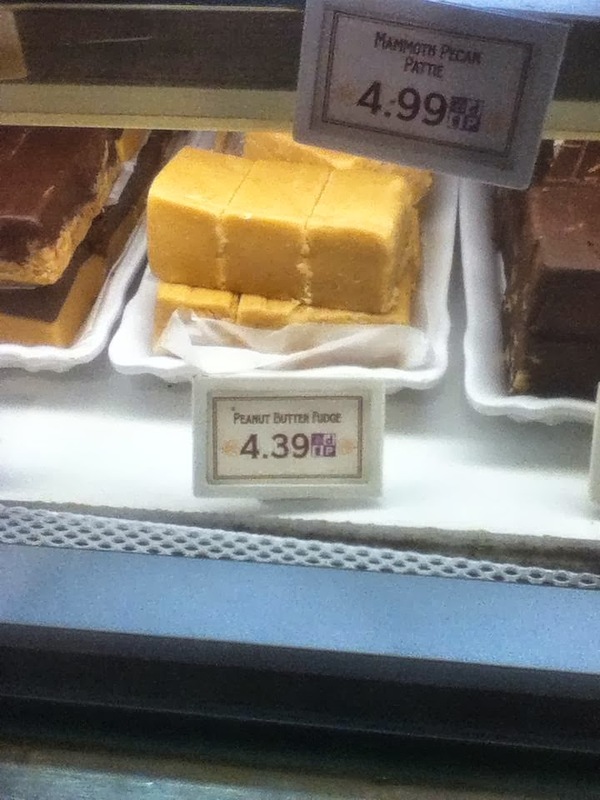 Six pieces of Peanut butter Fudge for me! Also saw Wishes for a first time, The Magic Kingdom’s very inspiring Fireworks extravaganza, complete with Tinkerbell flying from the castle. Sorry folks, no pics for this. I’m sure you can YouTube it to get a good video. My favorite part of the Magic Kingdom? Oddly enough, it’s Main Street USA. 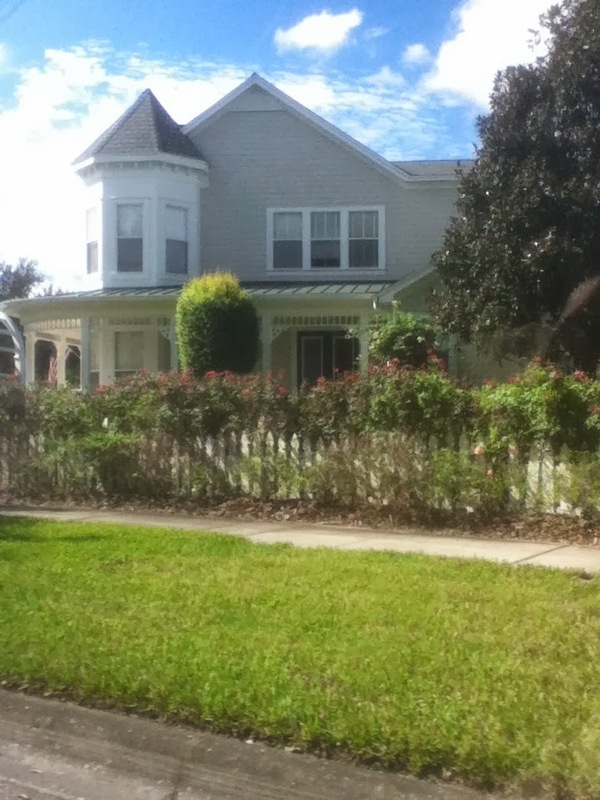 Walt Disney modeled this after his hometown of Marceline, Missouri, which to this day still has it’s turn of the 20th century charm. I love the gift shops and the old town feel. 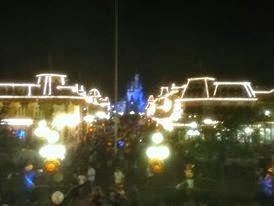 And at night, it gets a special dose of magic as the lights come on. With Cinderella Castle as the backdrop, and the fairy lights in the Plaza trees, you don’t get much more of a magical ambience than this. Made it home (David’s home, that is) around 1:30, and spent another hour and a half packing. Couldn’t sleep, finally conked out around 4:00am, and woke up at 5:30am to get ready to catch an 8:25am flight back home. Let me interject here that this trip would not be possible without the hospitality of David Mullings, and his wife, Kathryn. (and their kiddos, Luke and Liam.) Not only did they give me a roof to sleep under, which allowed me to save hotel fare, which would have more than doubled what I spent on this trip; but I got to develop lifelong friendships. I can honestly say that means more to me than the parks and thrills, which definitely ranks on up there. What was my favorite part of the parks? So hard to say. Really, I can’t narrow it down. Re-experiencing the Magic of The Magic Kingdom, visiting the many countries of World Showcase at EPCOT, the Hollywood streets of Disney Hollywood Studios. (Star Tours, Tower of Terror, and Aerosmith’s Rockin’ Roller Coaster were my favorites here, as well as Walt Disney: One Man’s Dream), and the lusciousness of Animal Kingdom—all of these had special things to offer to the overall experience. Not to mention the two days spent at Universal Studios. 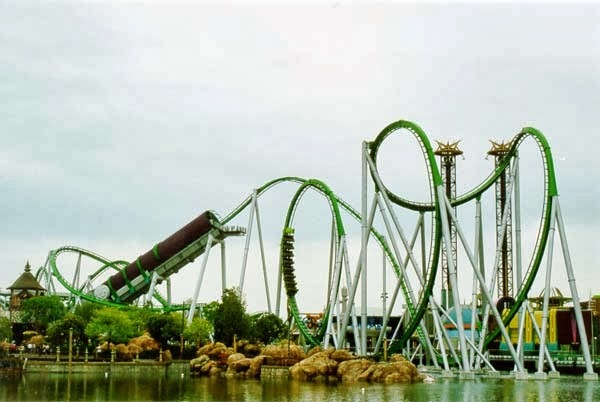 Harry Potter, Transformers, The Incredible Hulk, all great rides. Two, maybe three attractions at Disney really had a subtle affect on me. The American Adventure, at the America pavilion at World Showcase at EPCOT, and The Hall of Presidents, at Liberty Square, at The Magic Kingdom, really stirred up my spirit in regards to the opportunities we have in this great land of ours. So many opportunities that we… no, that I, squander. Add to that the message of Spaceship Earth, the progress of humanity over time, and the progress that looms before us in the opportunities we have. Both of these ideas made me think about my potential, our potential. If the vision of Disney is anything, it is this, “If you can dream it, you can do it.” and “We keep moving forward, opening new doors, and doing new things, because we’re curious and curiosity keeps leading us down new paths.” and “All of our dreams can come true, if we have the courage to pursue them.” And I can’t help but think that was his intention as he designed and visioneered these parks, and those that followed in his legacy. Many of you know and have followed that I have made some changes in my life recently, specifically, this summer. So these lessons are not lost on me, as I continue to pursue opportunities laid before me and to continue making some more changes. I firmly believe that in order to live, change must take place; otherwise, you stagnate and die. I hope that any growth that anyone has witnessed in my life would encourage them even in the slightest. Many have cheered me on in my weight loss goals, and in pursuing this vacation, and for that, I thank you. I hope all reading this would have the same success in the pursuit of their goals, and at some point in their life, the experience of the magic of Disney as well. I have one more shout out…Thanks Kim, er, I mean, Tinkerbell, for the Pixie Dust. It made all the difference in the World! 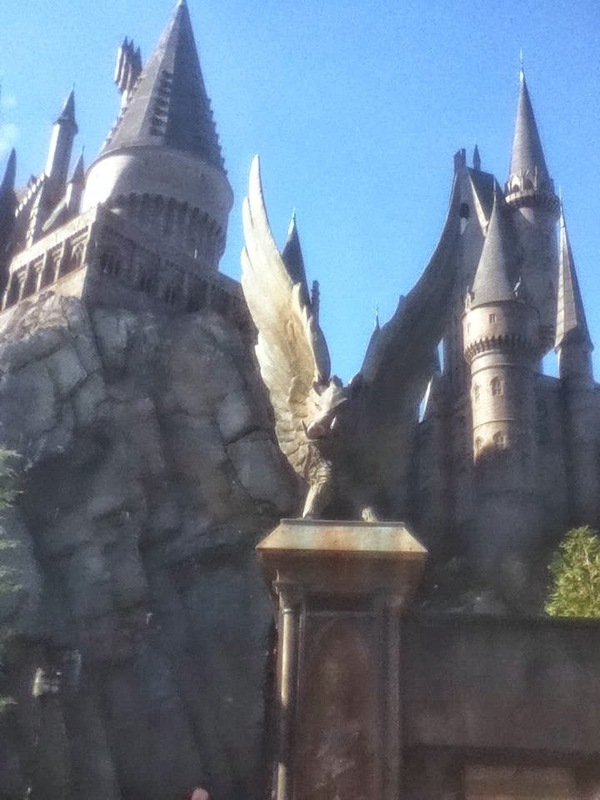 Today I flew solo again, this time at Islands of Adventure at Universal Orlando. IoA is more of a theme park than Universal Studios. There are 5, actually 6, Islands that each have their own theme. Marvel Super Hero Island, (I think it’s kinda funny that Disney probably makes some money off of this one nowadays…), Toon Lagoon, (Think funny papers and comic strips from the newspaper, plus old time favorites Dudley DooRight, Popeye, and Betty Boop…), Jurassic Park, (yes, after the movie…), Seuss Landing, (Grinch and Cat in the Hat, plus other Dr. Seuss classics…), The Lost Continent, (which really should stay lost…), and The Wizarding World of Harry Potter, (Which, let’s face it, everybody comes here for this, all the others, save maybe The Incredible Hulk and Spiderman, are just icing on the cake.) IoA is top notch when it comes to thrill rides, children’s areas, and the aforementioned Harry Potter section, which will soon get its own expansion, a Hogwarts express train that takes you to Diagon Alley, located at Universal Studios next door. (It would require a park hopper pass in order to participate in this expansion.) The park’s customer service, however, in my opinion, leaves a little something to be desired, even when compared to its sister park, Universal Studios, and especially when compared to any Disney park. This is not to say I didn’t have a good time. It was wonderful! I just had a few instances in which the attendants were not that attentive. Made me think about my own customer service at where I work, and how I could improve. The one slightly disappointing thing about WWoHP…Hogsmeade Village was not a large as I had envisioned it. Still, very cool. Hogwart’s WAS much more impressive than I envisioned it. Nice tradeoff. 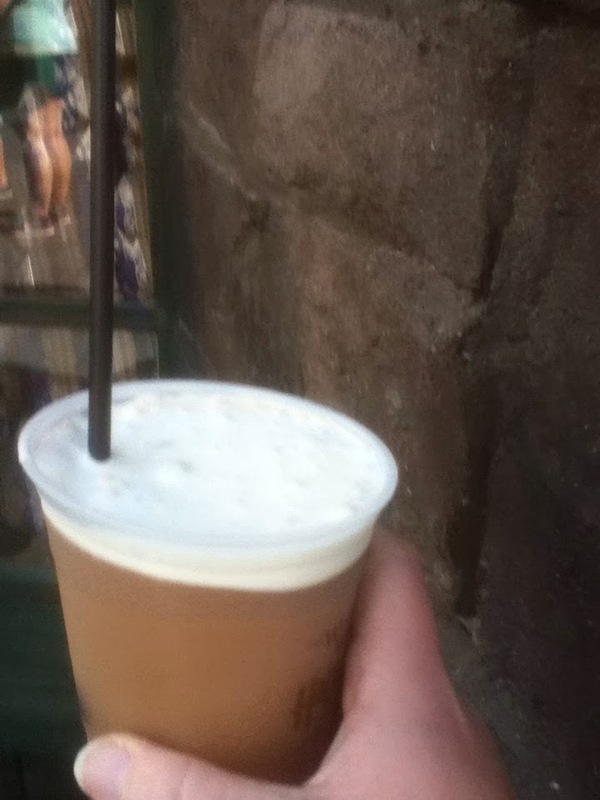 After HPatFJ, I had myself a frozen Butter-beer. Don’t know all the details of the recipe, it tasted great, like Cream Soda Slush, with a creamy head. Check that one off the bucket list! Made it home to David’s around 5:30, a very early day ending, but for some very much needed downtime. Tomorrow… more EPCOT and a drive through of Celebration. Today, I visited Universal Studios. I must state upfront…Universal Studios has its own kind of magic. It’s not Disney magic, nor does it need to be. It holds its own. This is not a slam toward UO…I’m just stating it’s different from Disney in its own way. 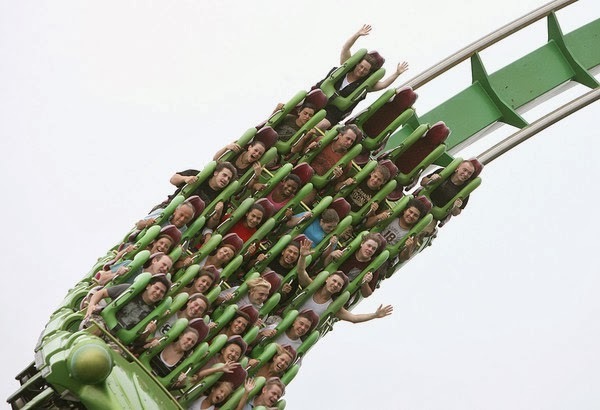 The rides are a bit more cutting edge, and a good few of them are longer in duration. Which is a relief. After standing in line for 45 minutes (disclaimer—I stood in no line longer than 15 minutes today), you want a bit more length to the ride than 3-5 minutes. 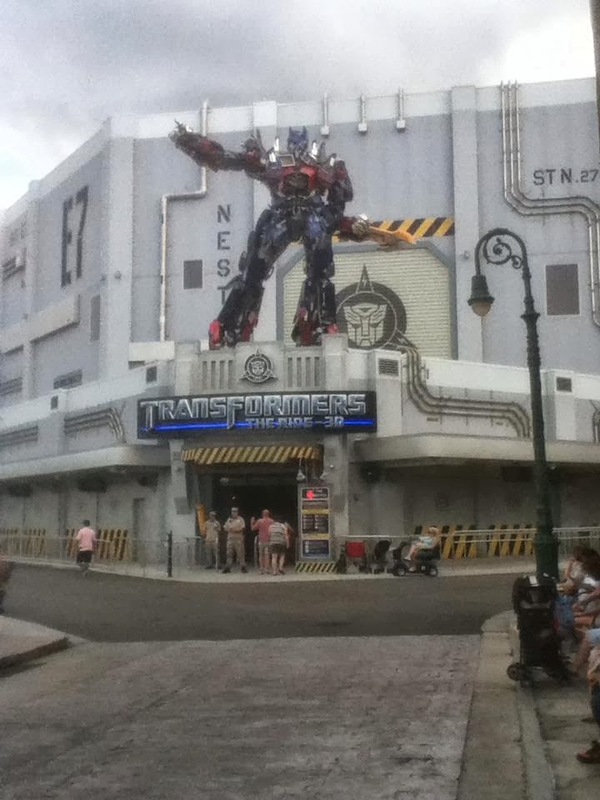 The Transformers was by far my most favoritist (sic) ride today. I released myself to the ride technology, and experienced absolute crazy magic. Free-falling, being slammed around by Decepticons, bombs blowing up in your face…it was all too real. This was some of the most amazing ride technology ever used. 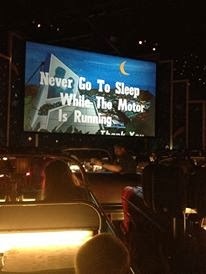 I’m not the biggest fan of the movies, but the ride does so much more for you than the movie. You’re smack dab in the middle of it all. Rode it three times. The Mummy was another roller coaster that was just nuts. Totally in the dark, with special effects themed by Brenden Frazier’s The Mummy movies, I came out of my seat more than once. Literally. Zero Gs. Rode it twice. Terminator 3D was fun, but there were other show/simulator/rides that take it up a notch or two.. The Simpsons, being one of them, was amazing, with a simulation experience similar to Star Tours at Disney. Despicable Me Minion Mayhem was crazy fun, and Shrek 4D was great as well. Lots of ride innovation in this place. Can’t wait for Islands of Adventure, especially The Wizzarding World of Harry Potter. I experienced the entire park today solo. My friend, David was wheelin’ and dealin’ at his job, and evidently had a busy and productive day. After the park I got to watch him and Cezar play pick up football,…I mean soccer,…no I mean football, and they tore it up in victory. Great fun! 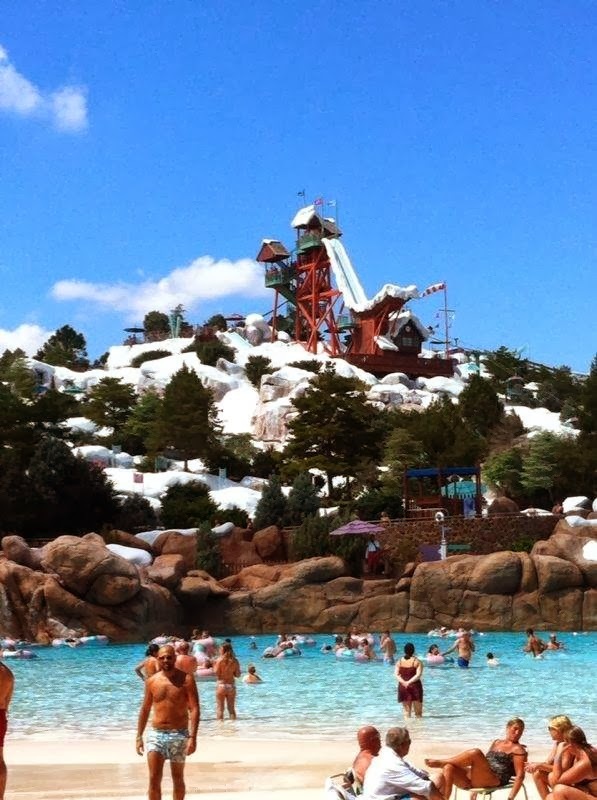 Tomorrow shall be Blizzard Beach water park, and then EPCOT. in the afternoon, where I will experience some international cuisine at The International Food and Wine Festival. Sunday we would be exploring Animal Kingdom, which would be an entirely new park for me. Once we entered the park gates, I was immediately taken aback by the lushness of the place. Green canopy everywhere. The Disney magic that finds itself in running streams, waterfalls, spraying mists, and the the theming in Africa, Asia, The Tree of Life, and Dinoland USA. We made a b-line to Asia, to immediately ride Expedition Everest. Such an awesome ride. Riding backwards in pitch blackness, and a double 360 banking curve just makes the ride awesome! Plus nearly getting your head decapitated by The Yeti. I rode twice in a row, and got fastpasses for riding later. Then to Kilamanjaro safaris, where we get to see the animals pretty close up. The previous day, one of the safari trucks was actually charged and rammed by a white rhino…I think that would be a bit more realism than I would want in my ride. Nonetheless, a great ride with more Disney magic. Two of the attractions that I appreciated much more than I thought I would was The Festival of the Lion King, and Little Nemo. Lion King was more a collection of music from the film, along with acrobats and other circus like performers. Nemo was a stage adaptation of the Pixar film, done creatively with fish puppets and their controllers who sung their parts. Both were excellently performed, and brought that ever present lump in the throat. 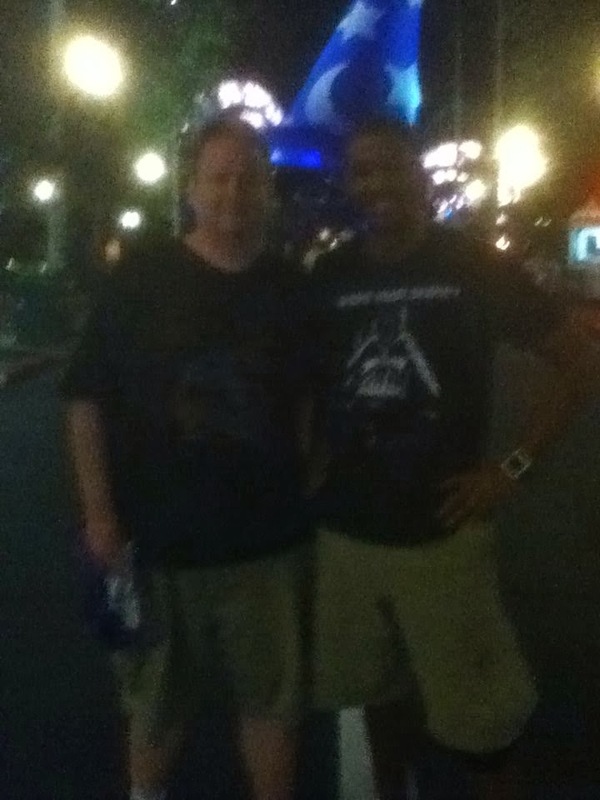 Today David and I got to explore Disney Hollywood Studios. I really didn’t know what to expect. 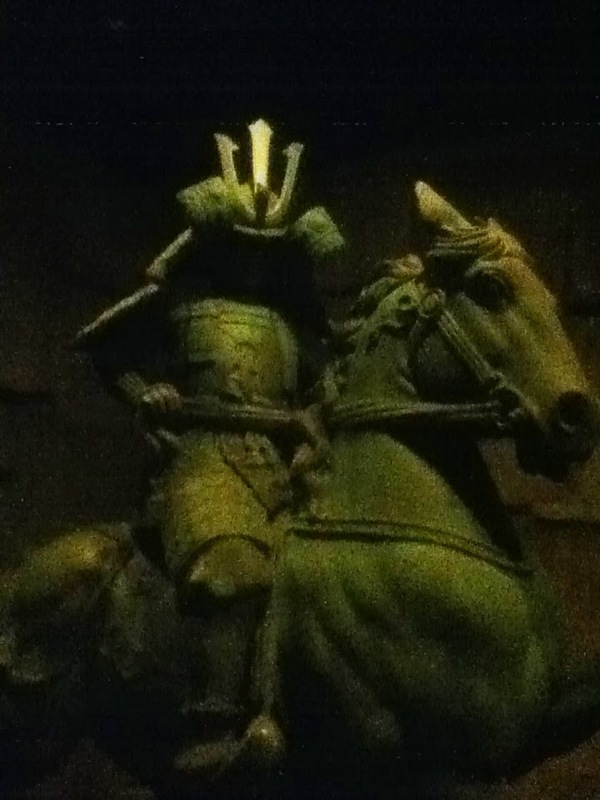 I was in awe at the theming, once again. You enter a replica of the streets of Hollywood, with the charm of the palm trees, neon lights, bright colors, and snazzy storefronts that puts you right down smack in the the center of Hollywood, California. David and I head immediately for Hollywood Tower of Terror and Aerosmith’s Rock ‘n Roller Coasters. Two top notch theme rides, again, with theming that is pure Disney magic. Next was the Backlot tour, of which David and I were chosen as volunteers as actors in some of the water stunt show…another guy was the mechanic, I was the captain, and David was the panicking first mate. As water explosions from bullets, torpedos, and bombs are going of all around us, we’re supposed to be acting out certain actions to complement the scene. Even this veteran church drama ministry performer probably looked llike a complete goofball, with wave after wave of explosions and water deluging me. 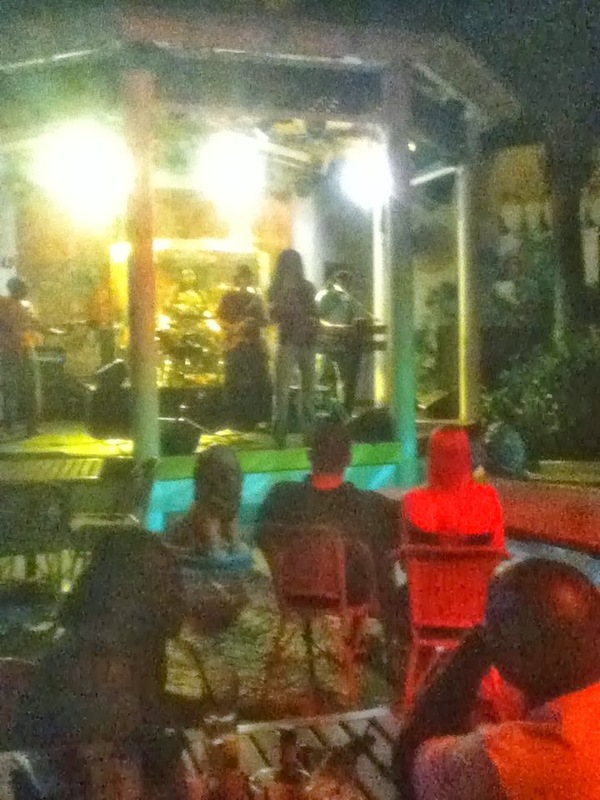 luckily, we had rainsuits on. But we still got pretty darn wet. But it was great fun! 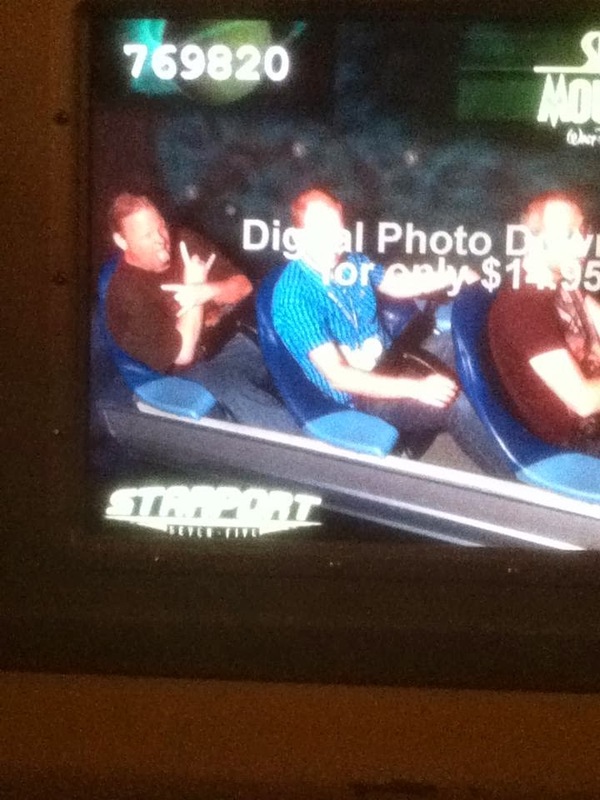 Star Tours was next, and this fanboy can honestly say this was his favorite ride. We rode this twice, and our adventures took our 3D motion simulator to the Wookiee planet Kashyk, an asteroid field surrounding the Death Star, a confrontation with Boba Fett in his ship Slave 1, the podraces on Tatooine, and the underwater planet core of Naboo. The motion simulation, along with the very realistic 3D special effects, blew me away. Simply amazing! We finished the day out with One Man’s Dream, the historical story of Walt Disney and his accomplishments. The man’s vision was extraordinary. He, like so many other great men and women, had many setbacks that took him to the bottom. Yet he rose again. I know of no other more creative individual. He is one of my greatest heroes. We did much more throughout the day, this was just a small sampling. Lunch was at the Sci Fi Dine In, which has tables in the style of cars parked in a drive in movie theater, dining while you watch the cheesiest B-movie Sci Fi movie trailers. Interesting atmosphere to say the least. Tomorrow, I shall be exploring Universal Studios at Universal Orlando. More first time experiences!